Mmm, mmm, another favorite fruit in our house. I suppose not everything can be the Little Man’s favorite fruit, but cherries have a pretty limited season, so he has to be enthusiastic about something else during the rest of the year. Right now, it’s plums. Which are a stone fruit, like cherries, so maybe he just prefers a good drupe? (<— yeah, I googled that!) Considering how many avocados he puts away in a day, it’s possible he’s just a pitty person. Anyway… Plums! 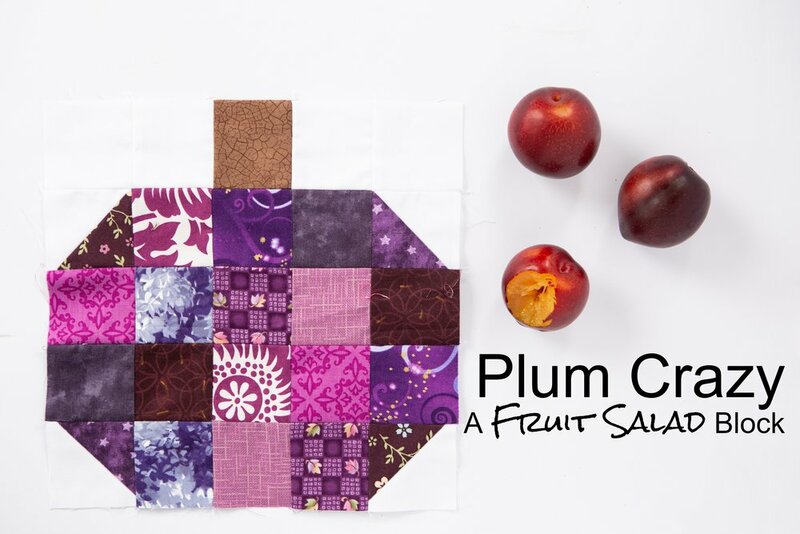 A chance to add a bit of purple to this quilt! And it’s another smaller, easier one, so get out those scraps and get going!